Wildflowers, Whales and the Ultimate Relaxation … Plan your March getaway today! Book any 2 midweek nights and add on a 3rd night FREE! Must call and request at time of booking. New reservations only. Does not apply to existing reservations. Special is valid Sunday through Thursday and does not include weekends. Please inquire about longer stays as free night applies to a single reservations. This offer may not be combined with other specials/gift cards and discounts. Must book and stay prior to March 31, 2019. 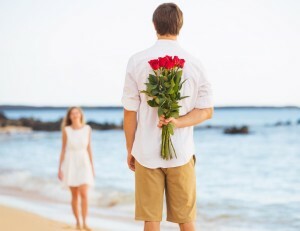 Are you looking for a way to spice things up in your relationship, or maybe to surprise the one you love? Plan a romantic getaway to Monterey, CA, with a memorable stay at our charming Bed and Breakfast. Old Monterey Inn of Monterey will take you back to the days of courting, when an innocent crush turned into a blossoming relationship. Our sole focus is on serving you, so that you can focus on each other. Throughout the year, our cozy Inn attracts couples from all walks of life. Some say it is the homey environment we have created, from cozy fireplaces and vintage furnishings, while others come for the peacefulness of our sweet-smelling outdoor gardens. Watch the starry skies without the lights of the big city interfering with your view, and throw open your shutters on the private balcony to the sound of birds chirping and singing. 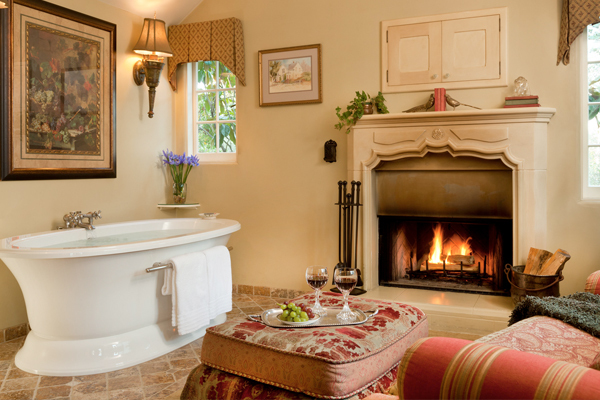 Whether you are in a new relationship or just want to reconnect with your true love, a romantic getaway in Monterey at Old Monterey Inn is sure to make you feel as though you are in a fairytale! Your story will come with a happy ending, especially when you try one of our gourmet breakfasts in the morning, served upon fine china and elegant crystal. Bring your wine glass on a stroll through the gardens, where you can talk and hold hands on a walk together. Share your dreams and remind yourselves why you chose one another in the first place. If you can tear yourself away from your suite and venture out into Monterey while on your romantic getaway, the entire area has a plethora of romantic choices to spend your time. The local vineyards offer some of the season’s best choices in vino, or you can watch the rolling waves and catch the sunset of the Pacific Ocean from Monterey’s jagged coastline. Get lost together in an enchanted forest, or take a kayak ride for two. The nearby Elkhorn Slough Reserve offers a Safari ride on a large pontoon boat, where you can find fascination in the majesty of Mother Nature. This 1,400 acre park has over 340 bird species and 400+ different types of plants, some of which you may never find in any other parts of the U.S. Another natural reserve near Monterey, CA is at the Marina Dunes Natural Preserve, near Marina State Beach. It is 170-acres of privacy at its best, for those who want to pack a picnic and check out the sunset amidst the dunes. Depending on what time of year you plan your romantic getaway in Monterey, you might catch a glimpse of the annual whale migration. Typically, you can spot whales anytime between December through May annually. We do have a Monterey Bay Whale Watching company that takes visitors out on the boat to observe whales and other marine animals. No matter what you and your sweetie choose to do in Monterey, a romantic getaway will give you a chance to fall in love all over again! By the time you leave, you’ll be head over heels in romantic bliss. 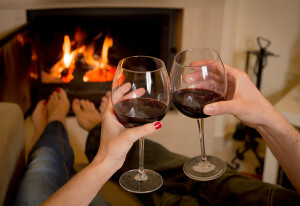 Plan your romantic weekend or vacation at Old Monterey Inn in advance. You can call 800-350-2344 to check availability. Engaged at our Romantic Getaway in Monterey! The Old Monterey Inn is popularly regarded as a romantic getaway in Monterey for many couples celebrating anniversaries, weddings, and even engagements. As a matter of fact, on Saturday, July 21st, Joel Hamilton and Paula Prakash stayed in our lovely and romantic Brighstone Suite. 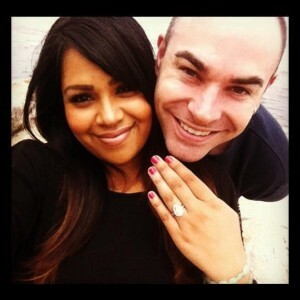 That night, Joel found the perfect moment to propose to Paula, and she said “Yes”! She was so excited that she sent us an email with a darling photo of her and her new fiancée. We feel honored that people choose to spend such special moments with us, and we take every opportunity to ensure a memorable occasion for all of our guests, including couples desiring a romantic Monterey getaway. Best wishes to Joel and Paula!